MADRID (AP) -- Rafael Nadal says he is available to play for Spain in the Davis Cup semifinals against France. Nadal missed Spain's quarterfinal win over the United States while recovering from the busy clay-court season and the Wimbledon final loss to top-ranked Novak Djokovic. Nadal says he is fit and feeling well "or I wouldn't be on my way to Montreal" where he will play a Masters event. 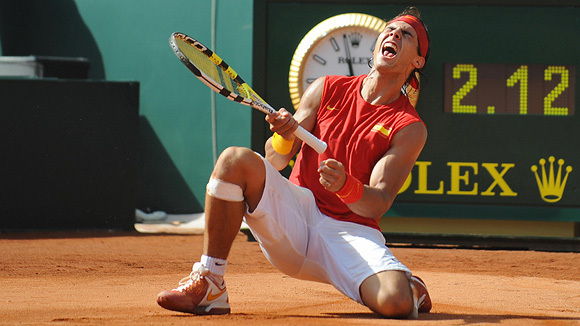 Spain is looking for a third Davis Cup title in four years and a fourth since Nadal began regularly playing in 2004. France lost to Serbia in last year's final. The Plaza de Toros bullfighting arena in Cordoba will host the best-of-five semifinal series on clay.